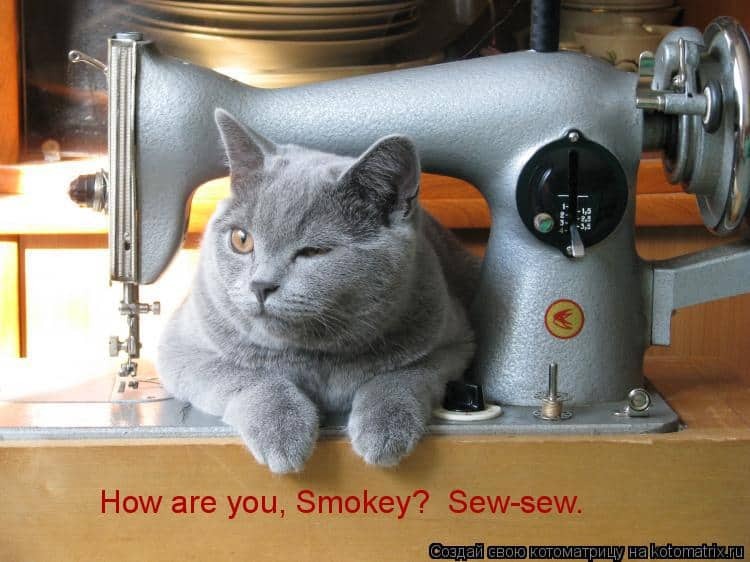 So, you want to learn sewing? Great idea! 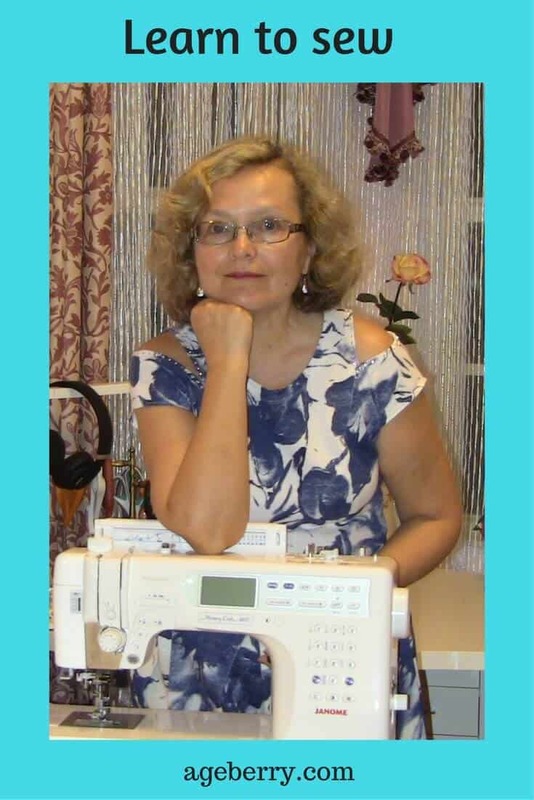 Whether you are interested in making clothes, or sewing for the home, or just creating something with your own hands, this in-depth guide provides all necessary information for your success. How do you start? After a few Google searches, you will see how much information is out there on the web, but don’t be overwhelmed and certainly don’t read it all. It is not hard to get started. The key is to start simple and keep spiraling outward into more complicated things. But you need to remember from the beginning that sewing is a skill that can take quite a long time to master. Sewing is fun and hugely rewarding but if you are not patient enough and your first results don’t live up to your expectations it can lead to frustration and abandonment of the idea altogether. We don’t want that to happen. The goal of this Guide is to help you get started the right way. There is quite a lot to learn, but I have broken it down into 7 manageable and easy to complete steps. Ready to learn? Alright, let’s get right into it. Below I outline exactly what you need to do to get started with your exciting new hobby. 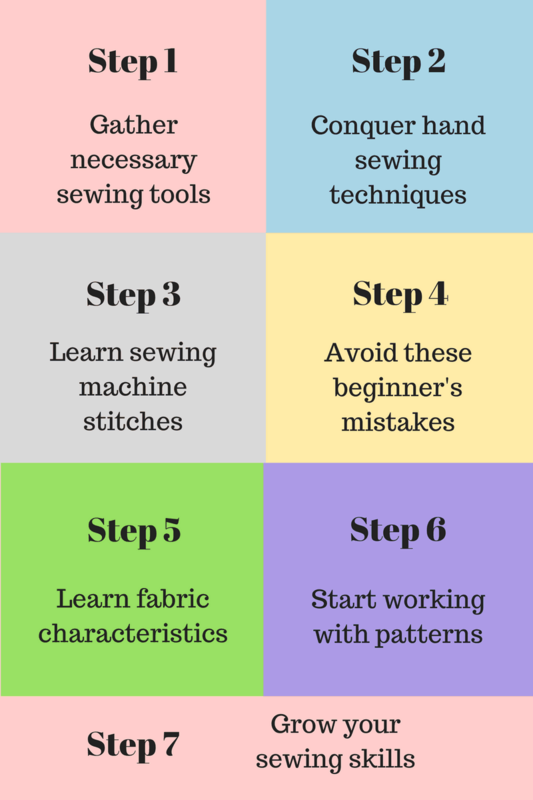 These 7 steps walk you through everything you need to know to start sewing. Each step is a link going to a new tutorial page full of helpful information about how to learn sewing. Check out the links below!